Access to full visibility on the movements of stock across warehouses through bin location. 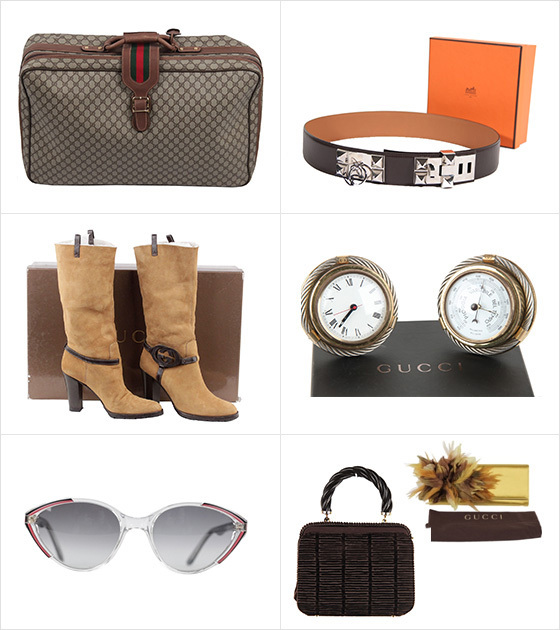 Opherty SRL offers a second-hand authentic collection of vintage products which includes bags, clothing, accessories, eye-wear from some of the most elegant & premium fashion brands like Armani, Gucci, Louis Vuitton, Personal, Prada. The products go through a rigorous evaluation process before Opherty starts offering it to their buyers. Marco Opherty, the co-founder of OPHERTY & CIOCCI , started his journey as a sales and customer care executive. His niche experience in the film industry helped him understand fashion more closely. His mind always juggled between his stereotype job routine and implementing new business strategies, which later prompted him to start his own fashion business. Marco was then accompanied by Carla who owned a fashion clothing store in Rome. Carla had a flair for fashion clothing, she used to buy latest fashion clothing in the morning and sell it in her showroom in Rome. Later joined by Barbara “A Vintage Expert” and Marco an I.T expert, who is responsible for maintaining the OPHERTY & CIOCCI website and responding to the customer queries. We asked Marco how he unified efforts to achieve business goals? “Our mission was very simple. It genuinely reflects who we are. We love Vintage and appreciate fashion. “Made in Italy”, as many other excellencies around the world, is struggling to survive in today’s society. We strive to keep it alive, enabling our customers to appreciate what Italians excel in. “Selling Vintage & pre-loved items has been our dream & passion since the late ’90s. “We reach out to those customers who want to make some space in their wardrobe by selling their old vintage products. We assess the products and if it meets our quality standards, we offer them a fair price, and later sell those products on our online and retail store. Once a buyer browses Opherty’s online store, they get access to a huge collection of Vintage products. Selling Vintage & pre-loved products was Marco’s forte. His beautiful website captured the attention of customers who love brands but consider thriftiness in spending. “To adapt multi-channel selling, we had to increase our reach on online marketplaces. We selected Etsy and Ebay as selling platforms because they focus on buyers who are excited about vintage products just like we are. “For any clothing store, managing inventory remains a core business operation to handle. A few years back, we had approached a vendor to develop a personalized management software which later not only proved out to be costly but even failed to meet the functional expectation. When asked about the major pitfalls they experienced while using their past system? The absence of a centralized system to manage & track the transactions across the selling channels, warehouse and the shipping company. Inability to accurately forecast demand – Infrequent check on inventory levels across multiple channels. Lack of data accuracy throughout the purchase order & sales order process – No real time tracking of inwards & outward goods. After we adopted Orderhive for inventory management and order processing, we were amazed to see how our daily business processes were turning out to be a cakewalk. 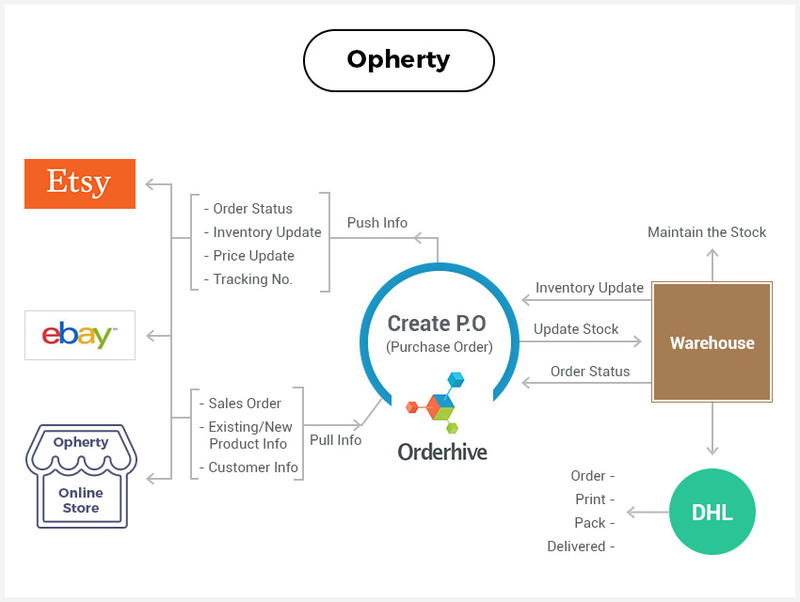 The below workflow depicts how OPHERTY & CIOCCI uses Orderhive for their business processes. Easing Multichannel Selling – With Orderhive, Marco can manage orders placed on different channels from a single centralized order management system. “As our business expanded geographically, the logistic part became hard to handle. We needed to optimize our supply chain to cut on our fulfillment cost and ensure safety level stock. Orderhive takes less than a minute to update our channels with the correct order and inventory status, due to which we have drastically cut down on overselling and at the same maintained safety level stock. The real-time analytics gives us insights into our best selling product, identify sales potential specific to a geography, and fulfillment ratio which helps us to forecast demand.